The Defense POW/MIA Accounting agency has been exchanging correspondence with the North Korean military and plans are underway to restart the recovery of U.S. war remains. DPAA's public affairs director Chuck Prichard told Voice of America on Tuesday he hopes more remains of U.S. servicemen who went missing during the 1950-53 Korean War will be recovered in spring 2019. Prichard said the two sides have been exchanging official letters, when asked about reports claiming DPAA director Kelly McKeague was in contact with North Korean military official Lt. Gen. An Ik San. Progress has been made on the repatriation of U.S. war remains. 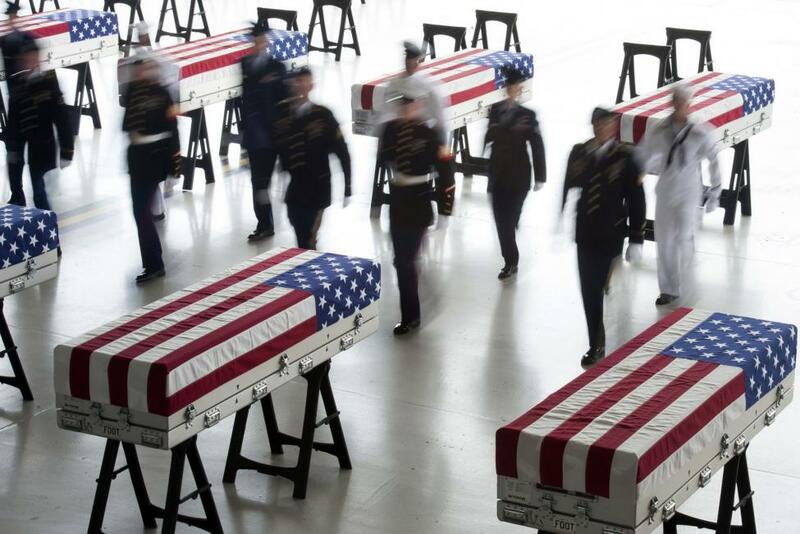 On July 27, the remains of 55 U.S. troops killed during the war were returned to the U.S. military, following an agreement reached during the summit between U.S. President Donald Trump and Kim Jong Un. Some of the remains are being brought to the soldiers' hometowns and burials are expected to take place. CBS-affiliated television station KLFY reported Monday Army Cpl. Edward M. Jones, 20, of Lake Charles, La., accounted for on Sept. 13, is to be buried Nov. 9 in his hometown. According to DPAA, in "February 1951, Jones was a member of Company D, 1st Battalion, 38th Infantry Regiment, 2nd Infantry Division, supporting Republic of Korea Army attacks against units of the Chinese People's Volunteer Forces [CPVF] near Hoengsong, South Korea. On Feb. 12, 1951, Jones was reported missing in action when he could not be accounted for by his unit." Later accounts reported Jones had died at a prisoner of war camp in North Korea. He was declared dead on March 16, 1951. Jones is to be buried with full military honors.